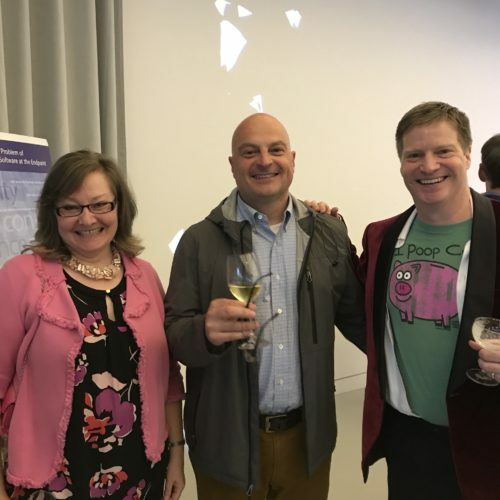 I am very grateful to Todd Brennan for inviting me to a party. It was fun, and I learned much. 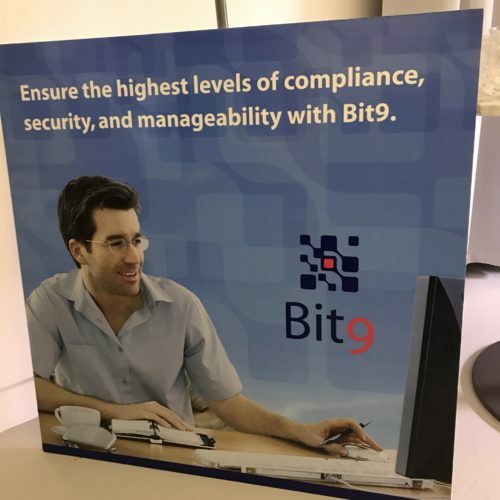 Todd co-founded Bit9, now called Carbon Black (prior post here). To celebrate the company’s recent IPO, he invited the other founders, founding engineers and early executives to a dinner. I’ve known Todd for a while. But, last night, I saw a new side of him: a very public and charismatic host. And, he was dressed in a t-shirt and a maroon tux jacket, no less! 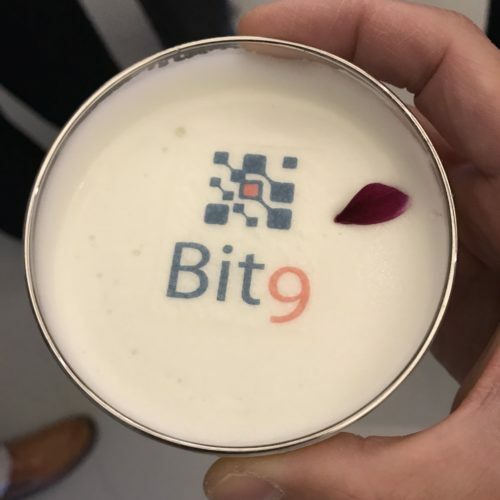 When I arrived, I saw the old Bit9 logo on old marketing boards, placed on edible gelatin and served in cocktails, and frosted onto a cake. He flashed onto a screen old photographs of the team. Champagne was served with a delicious multi-course dinner. At the end, Todd gave to each person a bottle of extremely good Champagne. For me, the highlight of the evening were the impromptu toasts and speeches made. Todd gave some very moving thoughts on entrepreneurship and the need for persistence. He talked about the many dark days at his companies before they each finally found footing. 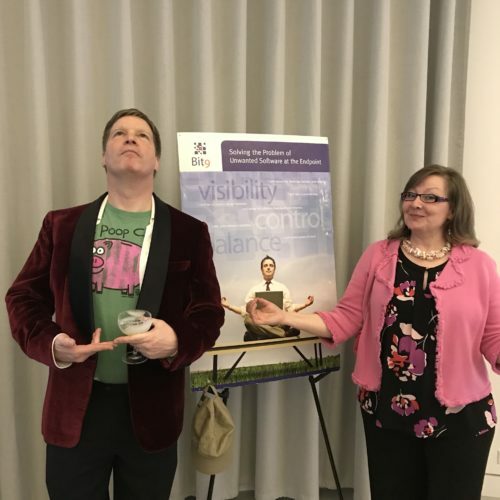 He shared some of the personal challenges he endured while facing life-or-death challenges at work. 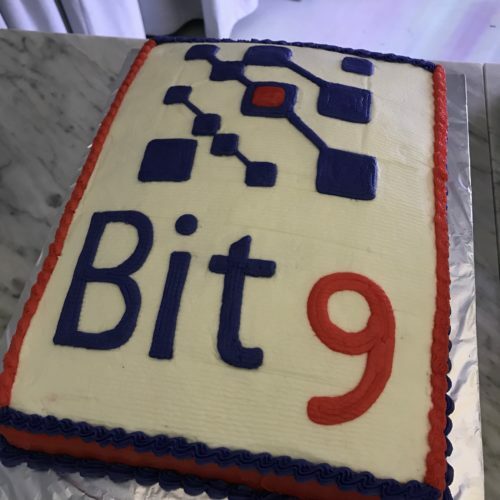 Kim King told me how, to this day, many of her best friends are people she met at Bit9. She said the culture was unique and tight. Many of the guests have been at multiple start-ups. We all talked about how doing something early-stage really is a calling because the ambiguity and stress can be rocket-high. But, people choose that path because of the camaraderie, challenge and autonomy. For me, this really resonated. As I’ve blogged before here, VC is a slow and very risky way to make money. But, I love it. It is my calling. It would have been possible to take a job offer from Bain Capital or to stay in consulting. But, I am an early-stage person. I like Underdogs. Last, I learned that Todd had gifted some pre-IPO Dropbox shares to about a dozen people from Bit9, as he wanted to share the wealth during a time when it was unclear if Carbon Black was going to succeed. Todd really is a generous person and that party was another example. Todd, thank you for inviting me. Thank you for your kindness and leadership!